Recently, I had the honor of working (yet again!) with the O’Keefe Music foundation to create album cover art for a limited edition 12″ vinyl record. 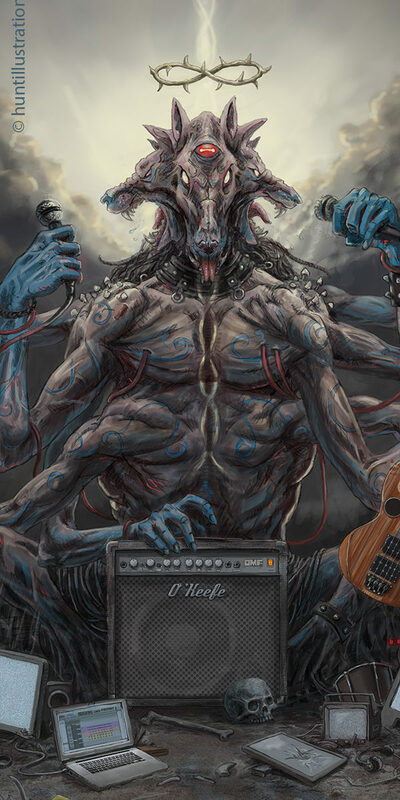 The album is a collection of cover versions of songs originally recorded by the band Tool. 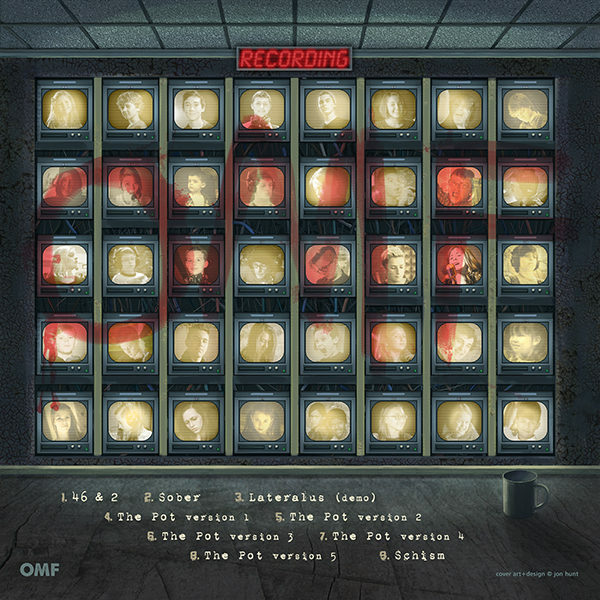 The record features five wildly different versions of “The Pot” as well as perennial Tool favorites “Schism”, “46 & 2”, “Sober”, and “Lateralus”. 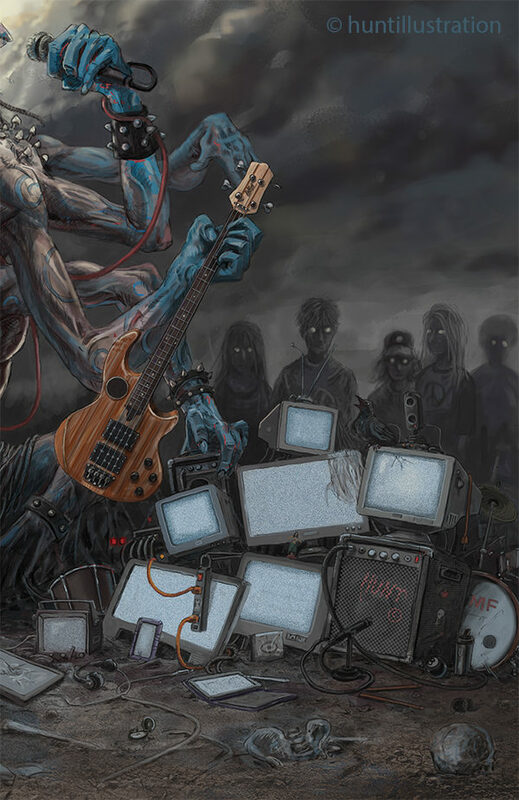 I wanted to echo the dark heavy riffs of these progressive metal songs in my cover design and illustration of a apocalyptic heavy metal demon surrounded by a throng of possessed children. Fun stuff to be sure! I work in both traditional + digital media for book jackets, album covers, magazines, collectible card games, role playing manuals, storyboards + concept art, music videos. In a… Show more. Send a message directly to Jonathan Hunt. I work in both traditional + digital media for book jackets, album covers, magazines, collectible card games, role playing manuals, storyboards + concept art, music videos. In addition to my freelance work, I have developed my own line of creepy character pins called EEPz.